Not long ago I was sharing the happy news about my brand new ONLINE CLASS - "Book of Possibilities". It was a very happy and very important moment for me - you can name it my next milestone in my career as a mixed-media teacher! Last year I was thinking creating online class in the shape and size I was thinking of will be simply impossible for me - but then my friends stepped up and all the impossible turned into possible! You can read more about the class here - check it out and learn more details! 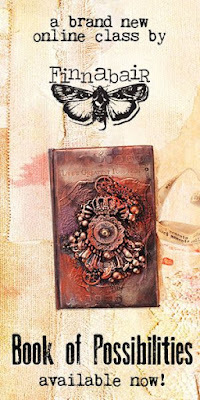 Today I'd like to show you some shots of the book covers which are done during the online class - yes, you will get detailed instruction how to create altered book covers in 2 ways - not bad, huh? 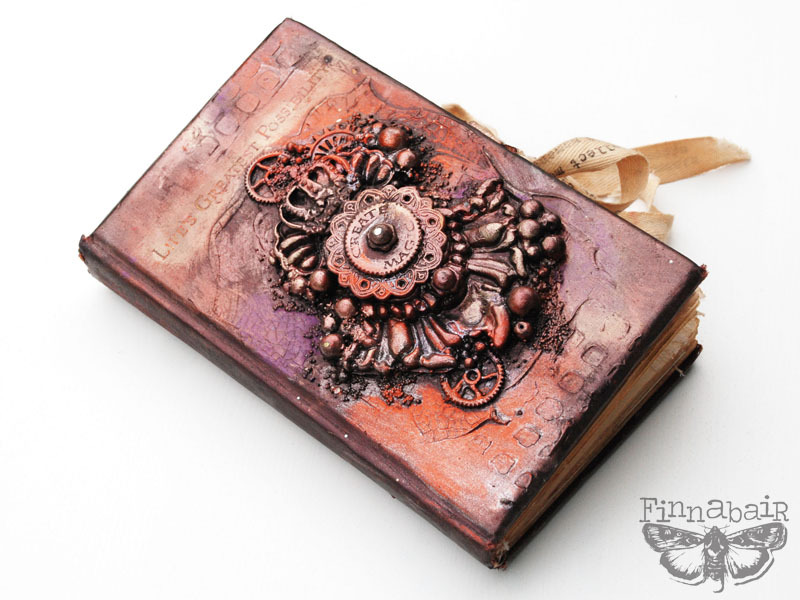 Don't you just love the colours and textures on this book? I was so inspired by natural colours of the vintage book cover I was trying to find the closest possible colours of Art Alchemy Metallique Paints to match it! 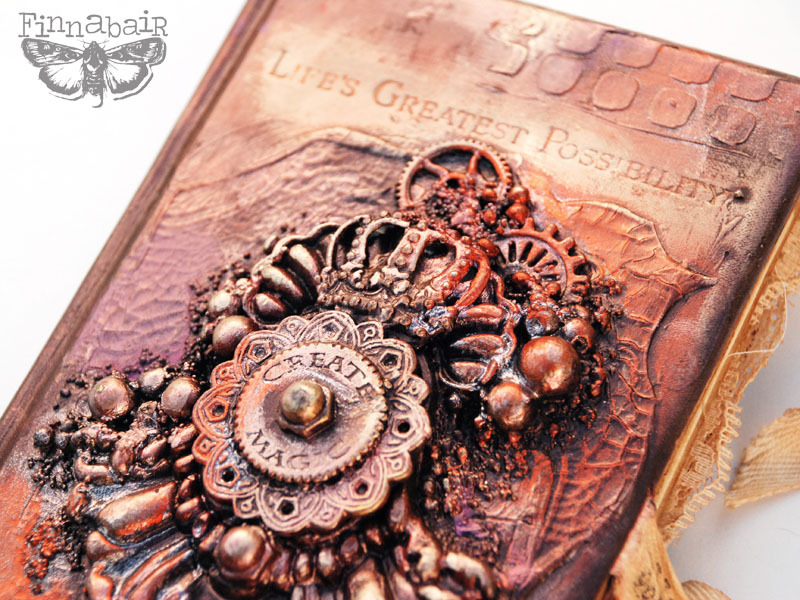 I didn't use so many elements to decorate it - but the rich colours, pretty textures and lovely stencil details are doing the trick here! And can you see these cool crackle effects? 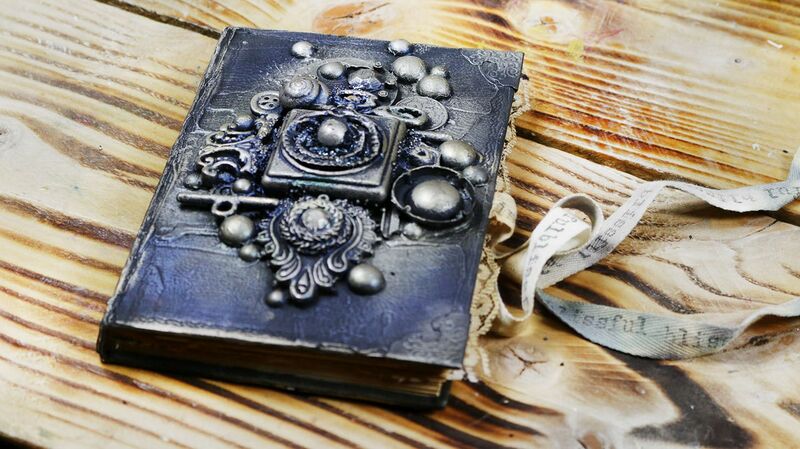 Or the beauty of the original title of the book, revealed by Art Alchemy Metallique Paints and Waxes? 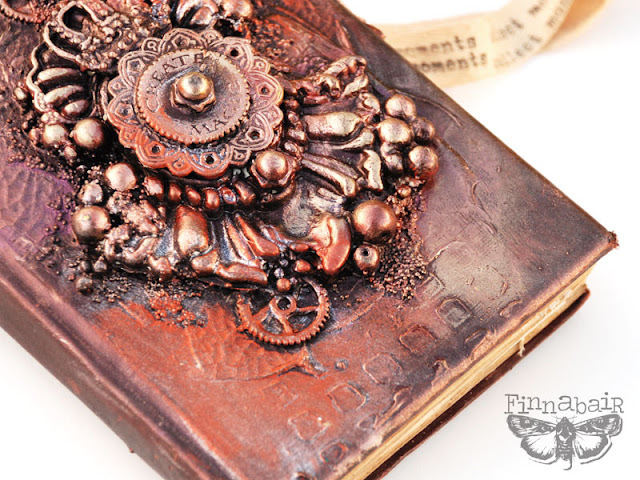 It is rich, detailed, it is beautifully shiny and it really catches the eye - I hope you like it too! 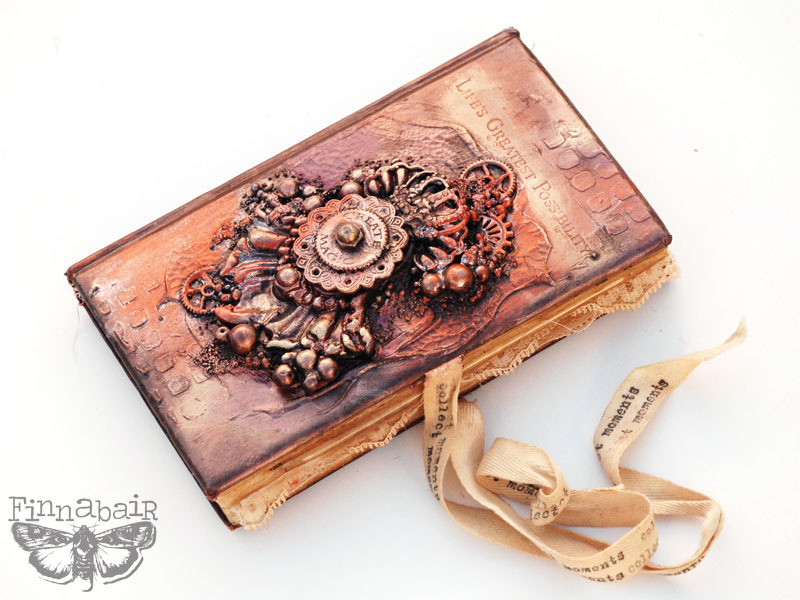 You can have a look at what happened inside of the book in a separate post here - I'm sharing some of these techniques during the online class, some of the pages were done once the book was finished, just for my own pleasure! Enjoy! If you'd like to take the class - don't wait and register now, the course is already open and running! You will find all the details and information you need here, in the link below! I can't wait to see your beautiful creations - I hope to see you in the virtual classroom! I signed up and have started to watch, but hoping to get more time soon to follow the class properly. Wonderful! I love your creations. I am taking this class and just love it..so much info awesome 💕 Thankyou!